NAENTA evaluates many patients with hoarseness, acid reflux, cough and dysphagia (swallowing difficulties). A number of these patients rely on their voices professionally. Our doctors can perform a simple office-based exam, a flexible laryngoscopy, to directly view the vocal cords and determine a diagnosis. Flexible laryngoscopy can be easily completed under local anesthesia, even in the most gag sensitive patients. 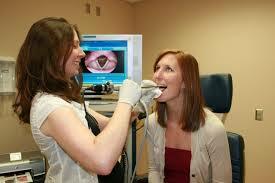 Depending on the diagnosis, patients are referred to a speech pathologist for further testing and vocal therapy. Video stroboscopy is indicated in the evaluation of problems of the voice, such as hoarseness and voice change. 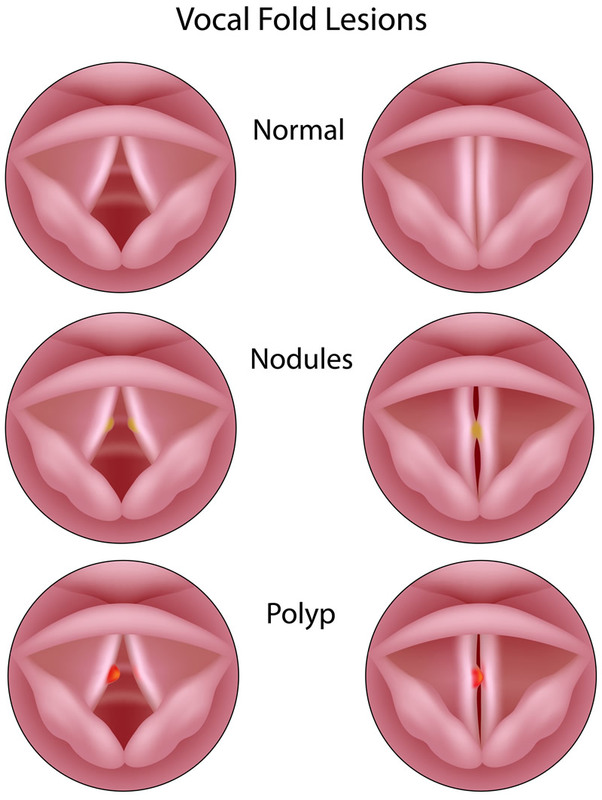 The slow motion effect allows us to see problems in the motion of the vocal cords or how nodules or other growths are affecting the way the vocal cords move together (to make sound). Because the results can be recorded, it is also useful to evaluate progress during treatment of voice disorders. Evaluation of the voice box is also usually necessary prior to voice or speech therapy. 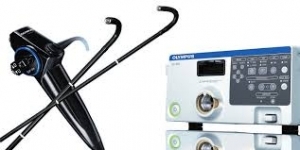 Video troboscopy is a painless procedure. therefore, it requires no sedation (anesthesia). nasal spray and gel-like medicine is placed in the nose to allow a flexible tube (scope) with a camera to be placed without pain. A machine makes a flashing light (strobe) match your voice frequency while the doctor looks through the flexible camera. This rapidly flashing light creates the effect of the vocal cords opening and closing in “slow motion”; the vocal cords are actually still moving normally. The patient is then instructed to say different sounds. The entire procedure is done in an office setting and is completed in 15 minutes.